On October 23, Thailand honors its beloved monarch Chulalongkorn (also known as King Rama V), who ruled from 1868–1910. Ascending to the throne at age 15, Chulalongkorn is credited with abolishing slavery, reforming the economy and government, protecting Thailand from colonization, and modernizing the transportation system and the military. He promoted education throughout the country, established a currency, introduced Western medicine, and built the first museum. Today, Chulalongkorn is revered for his benevolent reign. To honor him, on October 23, the day of his death, people in Bangkok place wreaths at the Equestrian Statue in the Royal Plaza, light candles, and attend festivals and performances in honor of the king. Celebrates Cyprus’s independence from Britain, gained in 1960. Commemorates Nigeria’s independence after 60 years under British control (1900-1960). Celebrates the birth of Mohandas Karamchand Gandhi. Admirers embark on pilgrimages to the Raj Ghat, in Delhi, where Gandhi was cremated. Spinning and weaving (which Gandhi promoted as a way to combat British monopolies) are also done in his honor on this day. Commemorates the reunification of East and West Germany. Germans celebrate with a street festival, speeches, and marches. Each year, festivities are held in a different German state. Commemorates the founding of the Korean alphabet, which was developed by scholars in 1446. It is celebrated with Confucian rituals, traditional dance performances, and calligraphy competitions. Named for its date (the tenth day of the tenth month), this day celebrates the Chinese Revolution in 1911, which led to the establishment of the Republic of China. 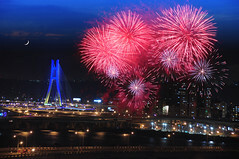 It is celebrated with rallies, parades, performances, and fireworks. In India, Hindu families hold a namakaran (naming ceremony) 28 days after a birth; the father whispers the baby’s name into the right ear. At four to six months of age, the child is given his or her first solid food, usually daal, a mushy mixture of pulses. Before a girl turns one, her ears and nose are pierced. In northern India, mundan, or the shaving of a boy’s head for the first time, is another important ritual. Many people in the Maldives must move to the capital island, Malé, for education or work. The densely populated island covers an area of just 1 square mile (2.6 square kilometers). Most residents live in apartment blocks, with the front of most buildings rented out as shops. Families live in small apartments, often with several relatives in cramped conditions. A government initiative to build more housing and ease pressure on the capital resulted in the construction of nearby Hulhumalé, a man-made island. Homes on other islands are more spacious. Most families live in a compound that includes a traditional one-storey home with several rooms, a courtyard, and an open-air bathroom. How much do you know about the region of South Asia? What country is an archipelago of approximately 1,190 tiny islands in the Indian Ocean, none of them more than 5 miles (8 kilometers) across? What is the most widely spoken language in Afghanistan? What three traditional symbols of Islam are found on the flag of Pakistan? What is the world’s second-most populous country? What is Sri Lanka’s dominant religion? What country was called East Pakistan until it gained independence in 1972? What country has an official language called Dhivehi, which is related to Sinhala (the principal language of Sri Lanka) and has roots in Sanskrit? What is the popular name for India’s motion picture industry, one of the world’s largest? What is a major, though illegal, crop grown in Afghanistan? What is the most popular sport in Sri Lanka?